Are you a coupon blogger looking for plugins to take your business to the next level? or are you tired of using plugins that don’t really interpret your mind clearly as you wanted. Here are some of the plugins that are wildly used by coupon bloggers and are said to be one of the best. This a fantastic plugin that allows you to easily embed short codes of various coupon stores of your wish in to articles written on your blog, with this you can get your reader fed with your write-ups and also stylishly advert the company short codes. This very coupon plugin is rated among coupon bloggers as one of the sophisticated and yet simple coupon plugin ever. This coupon is wildly popular and the functionality is very flexible. Coupon creator allows you to create and manage your own coupon by using a short code. The amazing thing about this coupon is that; one, its free and it also create coupon at custom post type, which means you can design your coupon to look however you want it. You can just download and try it fast if you haven’t. Coupon code is a very unique plugin that I’ll implore all coupon blogger to have in their word press. It is a fantastic coupon plugin that allows you to have right of whatever coupon code you provide without anybody having the right to copy or use it without visiting your affiliate link. Isn’t it fantastic? Though this plugin is free and you can have all the fun it but, you will be surprise and won’t be able to contain yourself when you upgrade to the elite version. This is a plugging that mustn’t be talked about when talking about the list of the top most use coupon plugins in 2014. Voucher Press, as its name implies, is a plugins that is use to create voucher with different layout and font from different templates. These vouchers generated from this plugging can be printed or downloaded as the case may be. Now that social media has become part of the tools that help any online and offline business, social media coupon for wordpress has also become a familiar friend to coupon bloggers in helping their business connect stylishly to a wild range of friends and customer around the world. 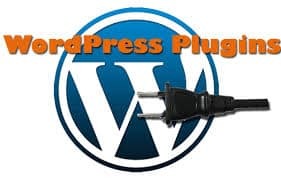 This entry was posted in Tools and tagged 'corePHP', coupon plugins, social plugins, Wordpress Plugins on June 26, 2014 by Aman Sareen.